We consider a general class of mathematical models for stochastic gene expression where the transcription rate is allowed to depend on a promoter state variable that can take an arbitrary (finite) number of values. 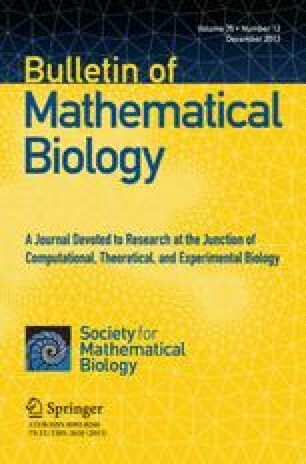 We provide the solution of the master equations in the stationary limit, based on a factorization of the stochastic transition matrix that separates timescales and relative interaction strengths, and we express its entries in terms of parameters that have a natural physical and/or biological interpretation. The solution illustrates the capacity of multiple states promoters to generate multimodal distributions of gene products, without the need for feedback. Furthermore, using the example of a three states promoter operating at low, high, and intermediate expression levels, we show that using multiple states operons will typically lead to a significant reduction of noise in the system. The underlying mechanism is that a three-states promoter can change its level of expression from low to high by passing through an intermediate state with a much smaller increase of fluctuations than by means of a direct transition. Work supported by FAPESP (Fundação de Amparo à Pesquisa do Estado de São Paulo, Brazil) and by the USP-COFECUB 2008-2012 program.